Typically, severe WNV syndromes manifest as one of three syndromes: West Nile encephalitis (inflammation of the brain); West Nile meningitis (inflammation of the meninges of the brain and spinal cord); or West Nile meningoencephalitis (inflammation of both the brain and the meninges). These three syndromes can cause severe brain damage and even death. Severe WNV disease carries a mortality rate ranging between 3% and 15%, with elderly patients suffering the highest mortality rate. The majority of these deaths are as a result of complication attributable to West Nile meningoencephalitis. Additionally, severe WNV disease can cause acute vision loss due to inflammatory disorders of the eye, such as chorioretinitis, optic neuritis, retinal vasculitis, uveitis, and vitritis. Less frequently, the patient can exhibit acute flaccid paralysis, similar to poliomyelitis (polio) or Guillain-Barré syndrome, caused by inflammation of the spinal cord and/or damage to the peripheral nerves. In some severe cases, this acute flaccid paralysis can disrupt muscles that control breathing and result in respiratory failure. Centers for Disease Control and Prevention. 1600 Clifton Rd, Atlanta, GA 30333. (800)311-3435. http://www.cdc.gov. Flavivirus — An arbovirus that can cause potentially serious diseases, such as dengue, yellow fever, Japanese encaphilitis, and West Nile fever. Guillain-Barré — A disorder in which the body's immune system attacks part of the peripheral nervous system. Weakness, tingling, and abnormal sensations in the arms and upper body can progress until the muscles become totally disabled and the patient is effectively paralyzed. Meninges — A series of membranous layers of connective tissue that protect the central nervous system (brain and spinal cord). Damage or infection to the meninges, such as in meningitis, can cause serious neurological damage and even death. Zoonotic diseases — Diseases caused by infectious agents that can be transmitted between (or are shared by) animals and humans. This can include transmission through the bite of an insect, such as a mosquito. a mosquito-borne virus of the family Flaviviridae. Human infection is usually subclinical but can lead to fatal encephalitis, particularly in old people. First isolated in Uganda in 1937 from a patient with encephalitis, WNV has since been identified in isolated cases throughout Africa, Asia, and Europe, and has caused occasional outbreaks of febrile illness with encephalitis. The first cases of WNV infection to be recognized in North America occurred in August 1999 in New York City. Sixty-two cases of human infection were eventually identified, of which 7 were fatal. During the next 5 years, the virus spread southward along the east coast to Florida and then across the country to the west coast. By the end of 2004 human infections had occurred in all but 3 of the 48 contiguous states. WNV is transmitted by more than 20 species of North American mosquitoes, most of them belonging to the genus Culex, but also including Aedes albopictus. The chief hosts are wild corvid birds, principally crows, ravens, and jays. Seasonal avian migrations are thought to be responsible for the geographic spread of the virus. Mammals, including human beings and horses, are occasional hosts, but mammalian viremia is apparently insufficient for further transmission by a mosquito vector. A few cases of transmission by blood transfusion, organ transplantation, or accidental percutaneous inoculation of laboratory workers have been reported. Intrauterine infection has also been observed. Human infections occur during late spring, summer, and early fall, with peak incidence in the U.S. in late August and early September. Seasonal variations depend on mosquito biting seasons and hence geographic latitude. Human cases peak in southern states about 1 week earlier than in northern states. Most cases of human infection are clinically inapparent. Early symptoms are nonspecific and include fever, chills, malaise, headache, ocular pain or photophobia, myalgia, and occasionally a maculopapular rash (more common in children) and gastrointestinal upset. Encephalitis or aseptic meningitis, which occurs in fewer than 1% of those infected, may be manifested by hyperreflexia, myoclonus, tremor, drowsiness, or confusion progressing to delirium or coma, meningism, or seizures. A less common syndrome consists of muscular weakness progressing to asymmetric flaccid paralysis due to destruction of anterior spinal horn cells or demyelination of peripheral motor nerves. The case fatality rate in symptomatic patients is 5-15%. The incubation period is 3-15 days. The period of illness varies from a few days to several weeks. Severity of disease and risk of fatal outcome increase with advancing age. The average age of patients manifesting encephalitis or meningitis due to WNV is about 70. Spontaneous recovery is the rule in children, but adult infection may be followed by neurologic and muscular sequelae. More than one third of adult survivors of WNV infection continue to experience muscular weakness, cognitive impairment (for example, confusion, difficulty concentrating), or both after 12 months. The disease is diagnosed by the finding of Ig antibody to the virus in serum or CSF or by identification of viral nucleic acid in CSF or brain tissue obtained at autopsy. Treatment is purely supportive. Efforts are underway to produce a vaccine. 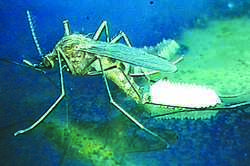 Meanwhile, prevention depends on mosquito control, including public education, elimination of breeding places (for example, stagnant ponds and hollows or open containers that catch rain water), the use of larvicides, and avoidance of personal exposure by means of appropriate attire and application of insect repellent. see also Aedes albopictus, Culex pipiens, Culex quinquefasciatus, and Culex restuans. A flavivirus that is transmitted by the bite of a culex mosquito and that can cause mild febrile illness as well as severe, sometimes fatal encephalitis and meningitis. a virus of the genus Flavivirus that causes West Nile encephalitis. It is transmitted by Culex mosquitoes, with wild birds serving as the reservoir, and occurs widely in Africa, Europe, the Middle East, and Asia; it has recently been reported in the United States. 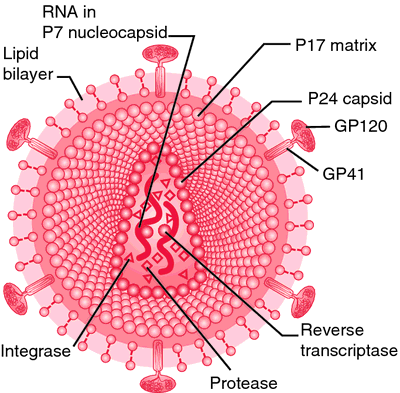 A flavivirus found in Africa, West Asia, the Middle East, and, since 1999, the United States. 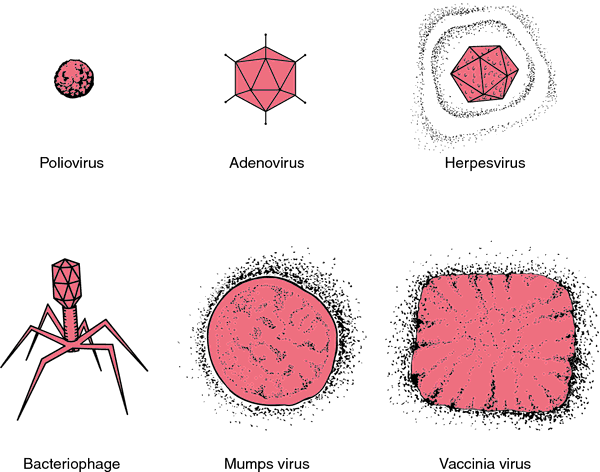 The virus can infect humans, birds, mosquitoes, horses, and some other mammals. West Nile fever is usually a mild disease characterized by flulike symptoms lasting only a few days and does not appear to cause any long-term health effects. Occasionally may cause encephalitis, meningitis, or meningoencephalitis. a province in Uganda where the virus was first discovered in 1937. West Nile fever - a febrile illness caused by West Nile virus, a member of the family Flaviviridae, and characterized by headache, fever, maculopapular rash, myalgia, lymphadenopathy, and leukopenia; spread by Culex mosquitoes. Mosquito-borne virus; human infection is usually subclinical but can lead to fatal encephalitis, particularly in old people. Using high titer West Nile intravenous immunoglobulin from selected Israeli donors for treatment of West Nile virus infection. Three very early cases of postnatal West Nile virus infections may have involved transplacental infection or virus transmission during delivery. Asymmetric flaccid paralysis: A neuromuscular presentation of West Nile virus infection. They describe 3 recipients of kidney and/or pancreas grafts who contracted West Nile virus infection, presumably via mosquito bites, during a large outbreak of the disease last summer. Currently, prevention of West Nile Virus infection rests on two strategies: (1) reducing the number of mosquitoes that could transmit the virus; and (2) preventing those "vector" mosquitoes from biting humans. Media coverage of the growing number of cases of West Nile Virus infection has been almost constant over the past few months. On rare occasions, West Nile virus infection can result in a severe and sometimes fatal illness known as West Nile encephalitis (an inflammation of the brain). Estimated cumulative incidence of West Nile virus infection in US adults, 1999-2010. No sandhill cranes inoculated with the vaccine and challenged with the virus died from West Nile virus infection. Chapters are devoted to the following topics: non-mosquito arbovirus vector, medically important mosquitoes, control of arbovirus vector, dengue infection, yellow fever, West Nile virus infection, rift valley fever, Japanese encephalitis, sandfly fever, minor arbovirus hemorrhagic fever, minor arbovirus meningoencephalitis, minor arbovirus arthritis, and application of arbovirus in gene medicine. People who suffer long-term health issues because of West Nile virus infection usually see problems abate within a year, according to a study in the Aug.